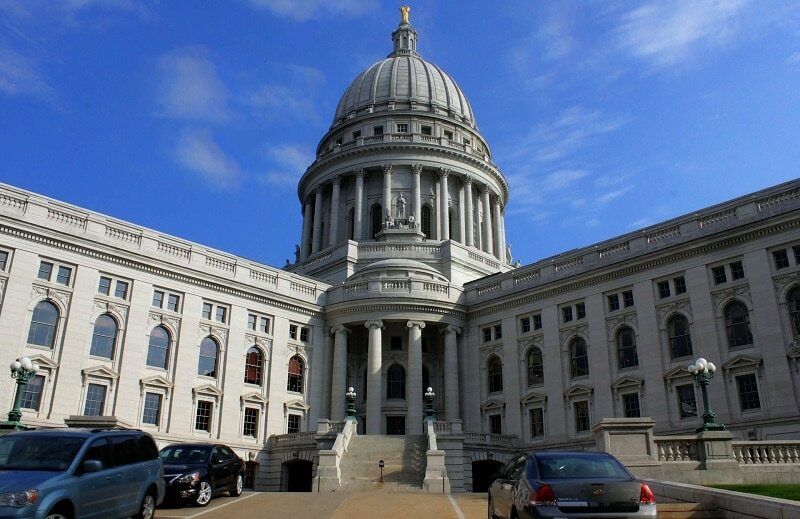 Top Things to Do in Madison, Wisconsin, and Tips for First Timers! Welcome to Madison, the city which is a synonym of a class and elegance in the US! 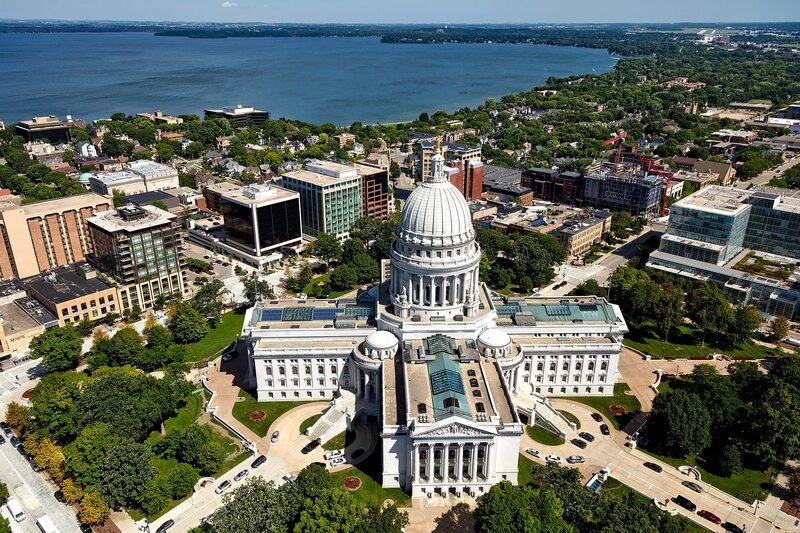 With its energetic, high-spirited cultural scene, the capital of Wisconsin offers various attractions you can’t discover during only one visit. Just be prepared for crowded streets during football home game weekends, St. Patrick’s Day, and Halloween, of course. My advice is to coordinate your visit with weather conditions. I am pretty sure that you don’t want to stick here during winter snowstorms or summer thunderstorms. It is probably the best choice to come to visit this unique city during June or September and enjoy everything it can give to you. This building near the lakeshore in downtown, finished in 1917, is the first place you should visit when you come here. With all that spectacular ornate marble, impressive skylight, hand-carved furniture, and murals made in Italian and French style, its interior is absolutely stunning. Become a part of one of the free guided tours available and enjoy all the beauty of this architectural masterpiece. Can you imagine that it is made of 43 varieties of stone originated from worldwide? WOW! 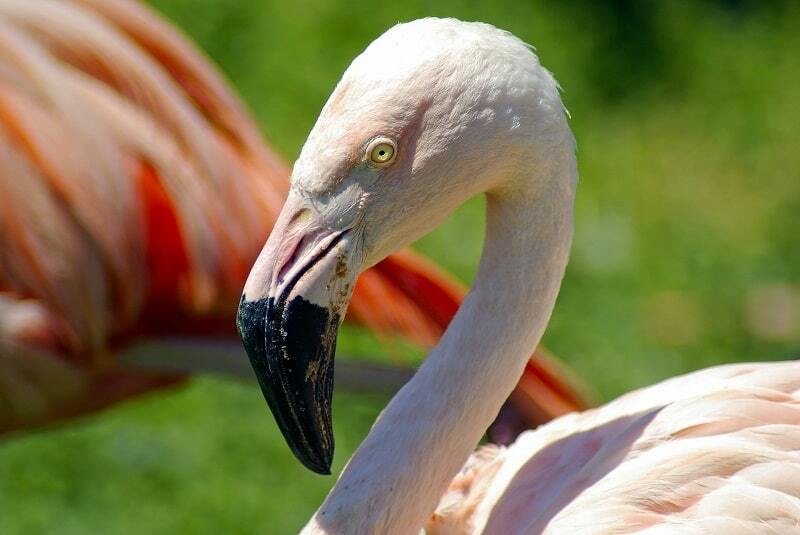 This beautiful city can boast a Henry Vilas Zoo made in 1924 on 28 acres (11 ha). If you come with your children, you can’t find a better place to spend a day here. Except for numerous tropical or arctic animals, they are proud of huge cat habitats and the tropical rainforest exhibit where colorful birds will surround you. Plus, don’t forget to take a look at all those lovely fish. I recommend you the new exhibition ‘Arctic Passage’ with an underwater area with polar bears. Your kids will adore a children’s zoo with baby tigers, lions, or pandas, and enjoy electric train, and a carousel in that area. Let them learn about protecting flora and fauna within an excellently organized educational program. Located on the waterfront, Olbrich Botanical Gardens is a place where you can admire butterflies, birds, exotic plants, and colorful, fragrant flowers at 16 acres (6.5 ha). 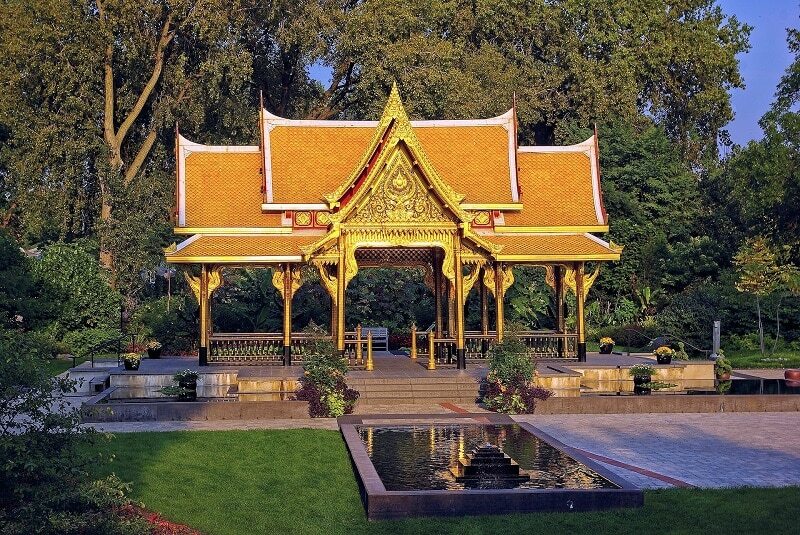 Since 1952, this wonderful place delights visitors with its collection of roses, specialty gardens, the Bolz Conservatory, waterfall, and the Thailand pavilion. Thanks to wide varieties of plants, and both an indoor, tropical greenhouse and magnificent outdoor parts, this garden literally blooms throughout the year. As probably the largest market of this type in the US, this famous place offers delicious products which farmers and small growers have directly produced since 1972. Come to Capitol Square on Saturday mornings during summer and buy fresh veggies, fruit, flowers, domestic honey, and best American cheese on two hundred stalls. In the same time, you can enjoy numerous street performances (I adore juggling) and live musical concerts. If you come to the city during winter, don’t miss enjoying the market at the Senior Center. Except for food, you can stop by and purchase handmade crafts, jewelry, clothing, and extraordinary artistic pieces. Believe it or not, it is actually the home to a local collegiate summer baseball team known as the ‘Madison Mallards’. Since 1982, this stadium hosted some of the most popular teams in front of more than 6,750 people. Come here with kids and let them play in the Kids Zone. They will adore spending time in the colorful bounce house or making a castle in a sandbox. When you get hungry, there are ten excellent dining places at your disposal. Pure enjoyment! If you are a museum admirer, I can recommend a few excellent ones in the city. I really like permanent exhibits in the Chazen Museum of Art. If you like American and European art including sculptures, paintings, photography, or decorative arts, this place is as made for you. Before arriving check their current traveling exhibits and planned music program. Or just make a guided tour available and spend memorable time here. I won’t go wrong if I say that The Madison Museum of Contemporary Art is a top-notch piece of art itself. This breathtaking architectural landmark made of glass offers rotating local and international art exhibits of the 20th and 21st centuries all the time. For history lovers, there is the Wisconsin Veterans Museum where you can see war-themed memorabilia and hear stories about local people who participated in every battle from the Civil War to the last conflicts during the Gulf War. If you are here with your children, don’t miss The Madison Children’s Museum. Educational exhibitions of this lovely place are dedicated to young children up to ten years old. Also, your teenagers will enjoy the museum’s activities which can help them understand the world. However, the Arboretum and Geology Museum is definitely my pair of shoes. Find it at the 150-year-old University and explore the rich collection of the world ecological wealth, including wetlands, prairies, forests, and savannas. The geology part will teach you everything about forming the rocks, fossils, and minerals. Plus, you can learn a lot about sparkling gemstones and meteorites found in the local area. I just can’t avoid this ‘delicious’ place. They use fresh ingredients to create the ultimate, totally exotic, handcrafted world-class chocolates. Every time I come to this lovely city, this place is the starting destination for me. Only after tasting their magic chocolate, I can start my city tour. Come to try the unique flavors you can’t find elsewhere in the world. As a citizen of one of the Visa Waiver Program countries, you are eligible to submit ESTA application if you have a return ticket and want to stay in the US for 90 days or less as a tourist or for business reasons. The US government introduced that system in 2009, to make the arrival citizens of ‘Visa Waiver Countries’ in the United States more comfortable. The process of application is quite simple. Everything you need is a valid passport with a chip, an adequately filled out form, as well as a credit card. Before sending the ESTA form, you should carefully check all the data you fill out and make sure all the information you add are correct. That’s it!